Travel by your exclusive car from Delhi to Shimla. Upon arrival at Shimla, check-in at the hotel. 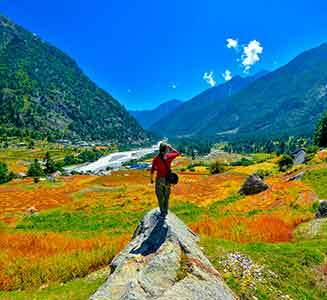 Relax & enjoy the day of your Manali Honeymoon with nice and exotic natural views, stroll through the local markets followed by a delicious meal in dinner. 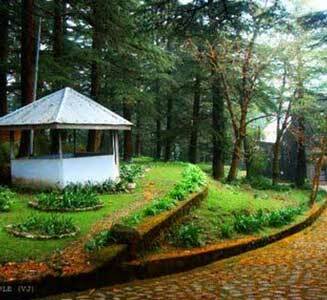 After breakfast travel towards the famous hill spots of Kufri and stop at the Sankat Mochan Temple on the way. Get yourself free to enjoy the scenic beauty of Wild Flower Hall, Kufri. Fagu, and Indira Gandhi Holiday Home. Enjoy horse riding (optional) in the apple orchards. In the evening explore Shimla city on foot as vehicle entry is prohibited. You can see prime places of Shimla like Lakkar Bazaar, Ridge, Church, Mall road, Scandal Point, Kali Bari temple. Enjoy dinner with a comfortable overnight stay in the hotel. Morning check-out from the hotel in Shimla and travel to Manali by Toyota Etios/Maruti Desire. On your way to Manali, explore the exotic natural beauty of Kullu Naggar (Nagar Castle, Art gallery, Museum, Waterfall, Kais Monastery, Vaishno Temple, Shawl Industry, Rafting Point), Shamshi (Shamshi is famous for Kullu Shawls and Carpets). Enjoy dinner with a comfortable overnight stay in the hotel. After breakfast at the hotel, full day excursion visiting Solang valley, Snow Point, Nehru Kund, Kothi, Gulaba, Him Valley, Etc Enjoy dinner with a comfortable overnight stay in the hotel. On your return to the hotel enjoy the evening in your beautifully flower decorated room. Enjoy your breakfast at the hotel and plan for a morning check out from the Hotel and enjoy local sightseeing like Hadimba Devi Temple, Vashishth Village, Tibetan Monastery, Club House, Van Vihar, Etc. Head towards Dharamshala. Enjoy dinner and overnight stay at Hotel in Dharamshala. Wake up to delicious breakfast in the hotel and head to explore the beauty of McLeodganj. Visit the places like Bhagsu Falls, Namgyal Monastery, Bhagsunath Temple, Tsuglagkhang etc. Return back to your hotel in Dharamshala. Enjoy dinner and overnight stay at the hotel.